Born January 12, 1944, in Beaufort, South Carolina, Joe Frazier was the world heavyweight-boxing champion from February 16, 1970, until January 22, 1973, when boxing great George Foreman beat him. Frazier is perhaps best remembered for his grueling 14-round match against Muhammad Ali in the Philippines, known as the Thrilla in Manila, which Ali won by TKO. 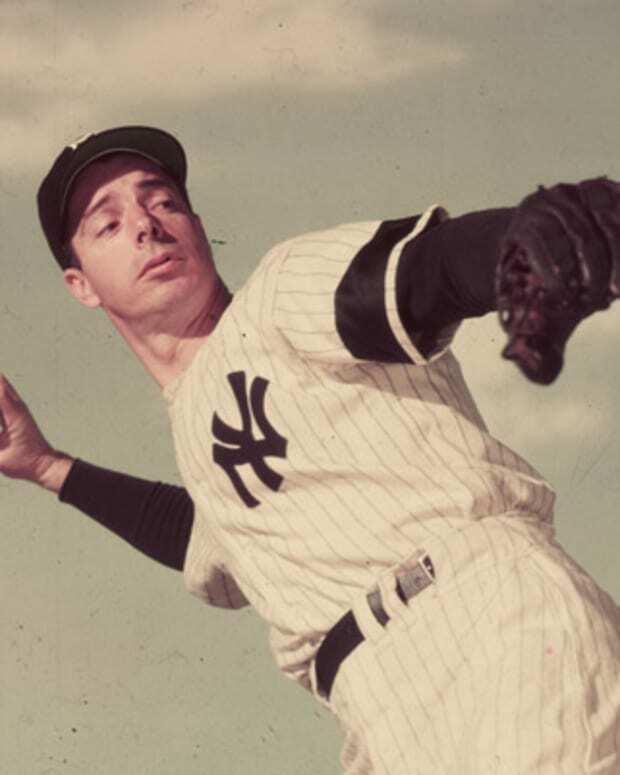 Frazier died of liver cancer in 2011. 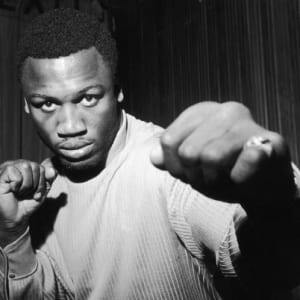 The youngest of 12 children, boxer Billy Joe Frazier was born January 12, 1944, in Beaufort, South Carolina. His parents, Rubin and Dolly Frazier, were sharecroppers, so the family never had much money. By the age of 15, Frazier, who&apos;d quit school two years before, was on his own. He moved to New York City to live with an older brother and find work. Employment, however, was hard to come by, and to put cash in his pocket he started stealing cars and selling them to a junkyard in Brooklyn. But Frazier harbored dreams of doing something with his life. Many of those dreams were built around boxing. As a younger kid, back in South Carolina, he had dreamed of becoming the next Joe Louis, airing out punches at burlap bags he&apos;d filled with leaves and moss. 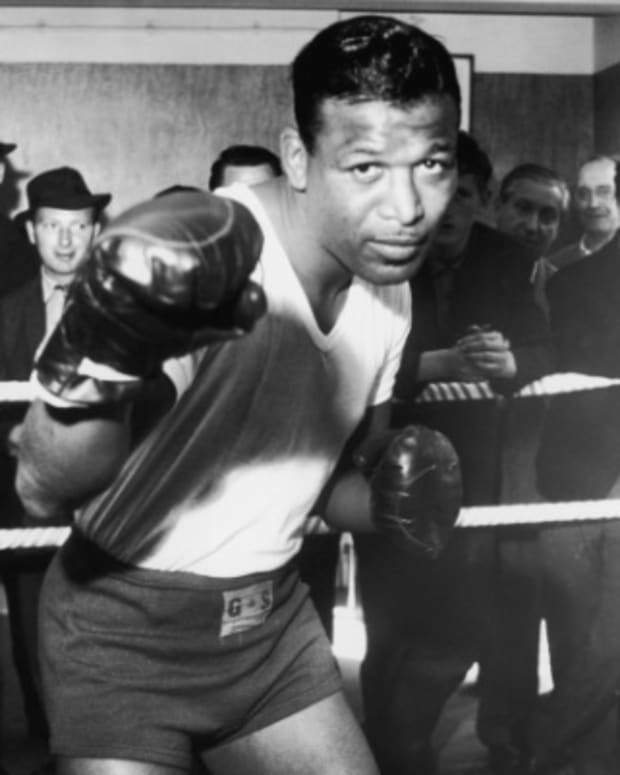 It wasn&apos;t until 1961, though, that Frazier entered the ring and actually began to box. He was rough and undisciplined, but his unpolished talent caught the eye of trainer Yank Durham. 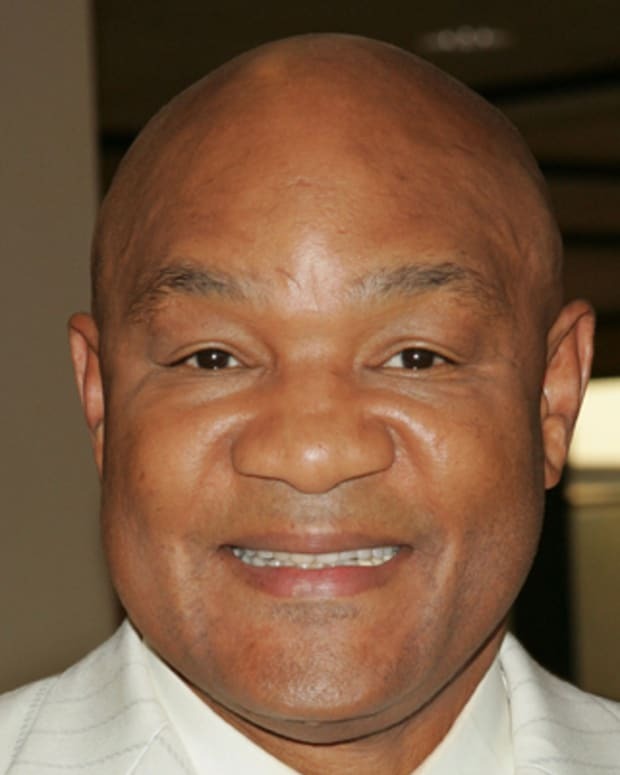 Under the direction of Durham, who shortened Frazier&apos;s punches and added power to his devastating left hook, the young boxer quickly found success. For three straight years he was the Middle Atlantic Golden Gloves Champion, and he captured the gold medal at the 1964 Summer Olympics in Tokyo. He turned pro in 1965 and in just under a year had compiled an 11-0 record. In March 1968 he was crowned heavyweight champion, a result that stemmed in part from Muhammad Ali getting stripped of his heavyweight title the year before, after refusing to be drafted. In 1970 Ali successfully sued to get his boxing license back, setting the stage for the sport&apos;s highly anticipated matchup between Frazier and Ali. While the two fighters have may have respected each other, the two men were clearly not friends. Frazier steamed at the vocal Ali, who repeatedly called him a "gorilla" and an "Uncle Tom." Years later Frazier&apos;s anger still hadn&apos;t cooled: After seeing Ali, battling Parkinson&apos;s disease, light the flame at the 1996 Summer Olympics in Atlanta, Frazier told reporters he would have liked to have "pushed him in." Their first battle, dubbed the Fight of the Century, took place at New York&apos;s Madison Square Garden on March 8, 1971. Despite being lighter and shorter than Ali, Frazier, in front of a packed house that included Frank Sinatra (who photographed the match for Life magazine) and Hubert Humphrey, wore Ali down. Frazier took the fight with a unanimous decision, delivering Ali his first professional defeat. The victory catapulted Frazier to full-fledged stardom and riches. He purchased a 368-acre farm, not far from where he&apos;d grown up, and became the first African-American since Reconstruction to speak in front of the South Carolina Legislature. In 1974, Frazier, who&apos;d lost his title the year before to George Foreman, stepped into the ring against Ali again. This time it was Ali who came out victorious. Their final battle came in 1975 in the Philippines. Dubbed the Thrilla in Manila, it&apos;s considered the sport&apos;s greatest fight by some boxing historians. The match lasted 14 bruising rounds before Frazier, battling eyesight issues, was prevented from coming out for the final round by his trainer, Eddie Futch. It was the "closest thing to dyin&apos; I know of," Ali later said of the fight. In 1976, at the age of 32, Frazier retired. He briefly returned to the ring in 1981, but quickly retired again, and for good, after just one fight. 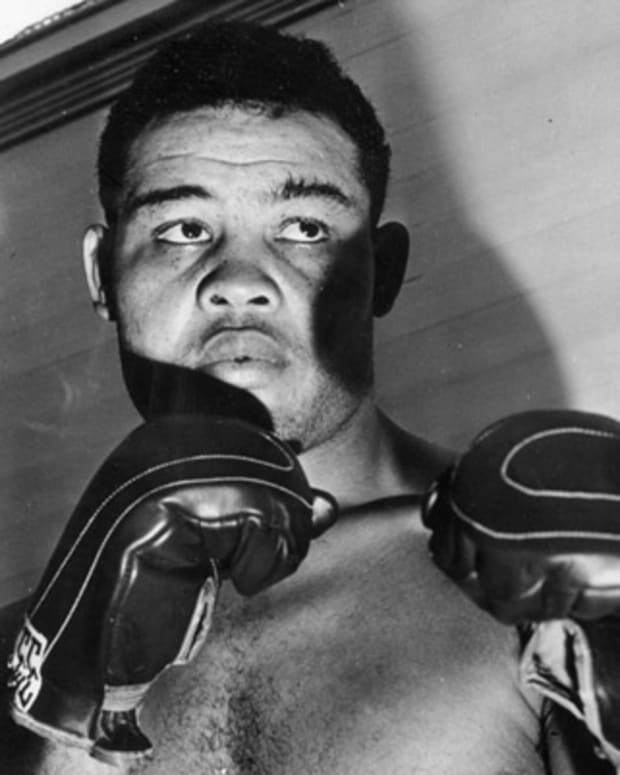 His post-boxing years saw him manage the career of his oldest son, Marvis, a heavyweight. 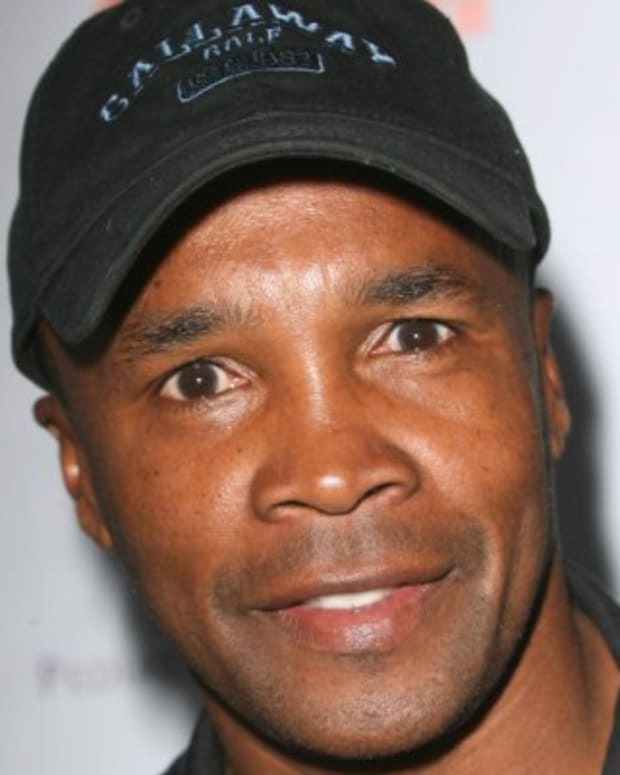 His daughter, Jacqui Frazier-Lyde, also took up boxing, and eventually fought Ali&apos;s daughter, Laila Ali, in a fight called Ali-Frazier IV. Ali came out victorious. In all, Frazier had 11 children; sons Marvis, Hector, Joseph Rubin, Joseph Jordan, Brandon Marcus and Derek Dennis and daughters Jacqui, Weatta, Jo-Netta, Renae and Natasha. 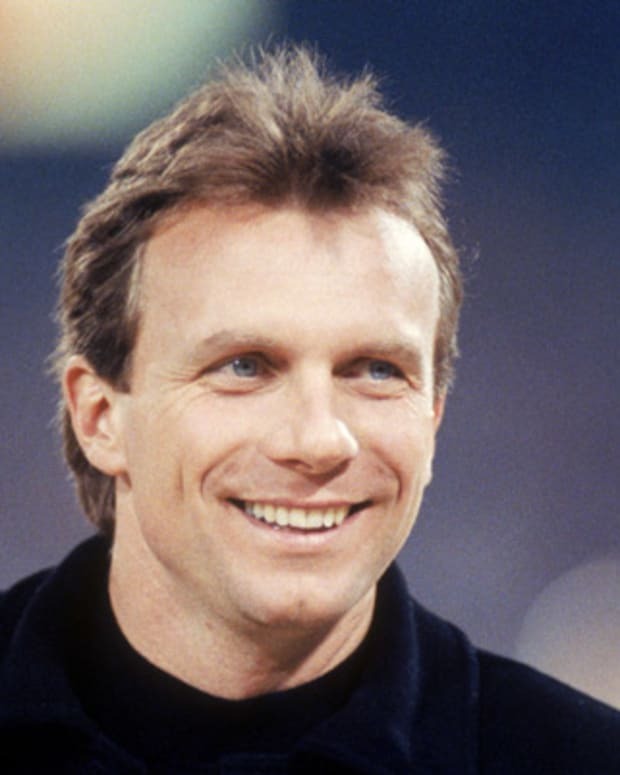 He and his wife Florence Smith divorced in 1985. Frazier remained with his longtime girlfriend of forty years, Denise Menz, until his death. In September 2011 Frazier was diagnosed with liver cancer. The disease quickly spread, and he soon was in hospice care. 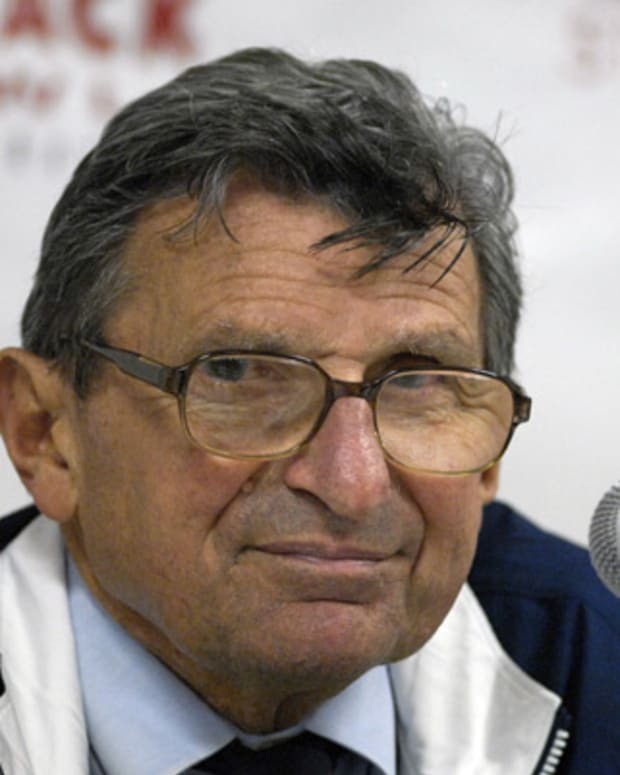 He died at his home in Philadelphia on November 7, 2011. 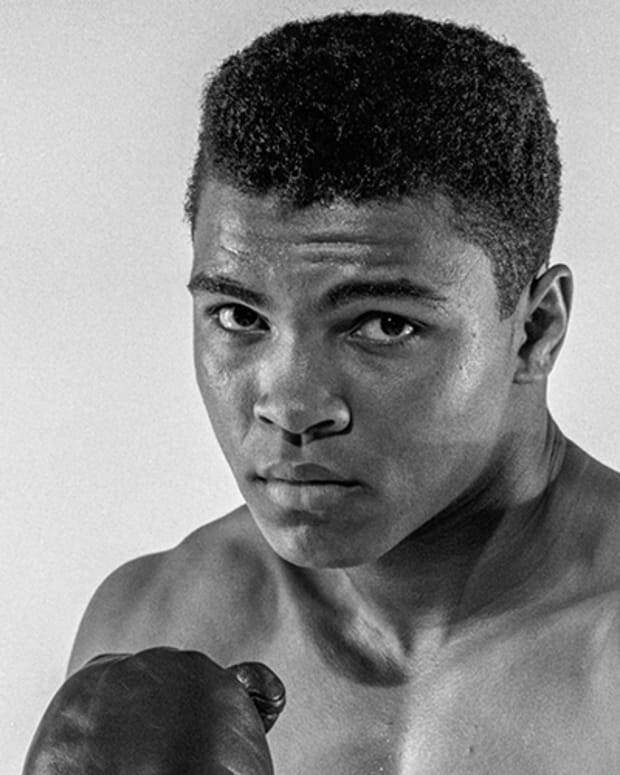 Arguably boxing's most celebrated athlete, heavyweight champion Muhammad Ali was also known for his public stance against the Vietnam War and his longtime battle with Parkinson's disease. 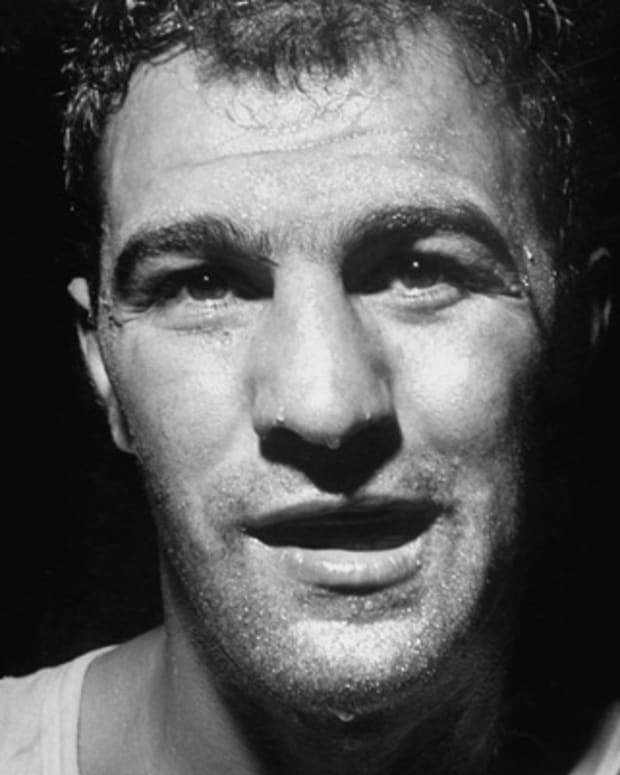 American professional boxer and world heavyweight champion Rocky Marciano beat Jersey Joe Walcott for the title and won an unrivaled 49 straight fights.